Give a custom finished look to your deck! Add style to your wood deck. Go from classic to elegant with Regal ideas aluminum wood in-fill options. 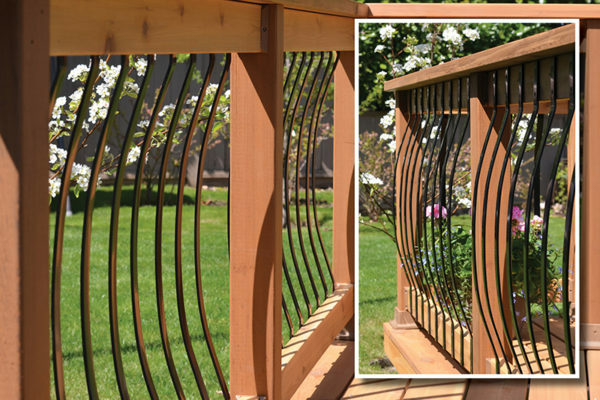 The Regal ideas wood-in fill system has many options that allow you to mix and match square, round, decorative and tempered glass into your custom railing. 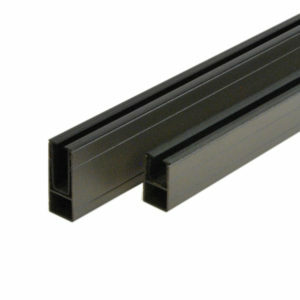 Use the glass mounting track and incorporate any of the tempered glass panels into your system. IMPORTANT: Always refer to your local Building Code for guidelines and limitations before you begin any deck or railing project. 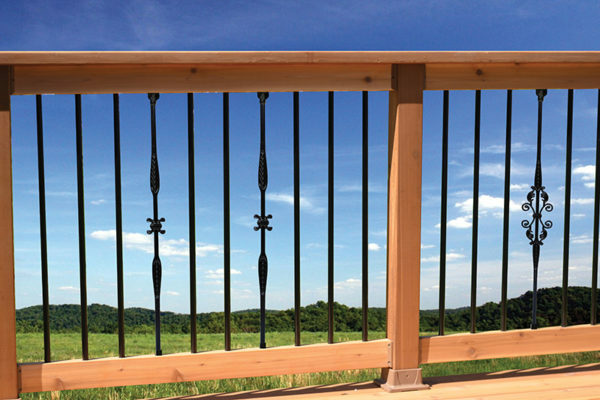 Mix and Match with Regal Ideas Aluminum pickets to create a custom railing. 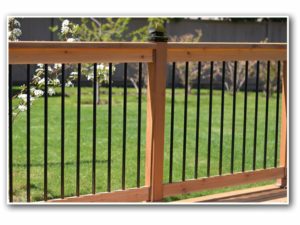 Regal Ideas railing adapters allow you to use any of the picket styles for your wood or composite railing system. 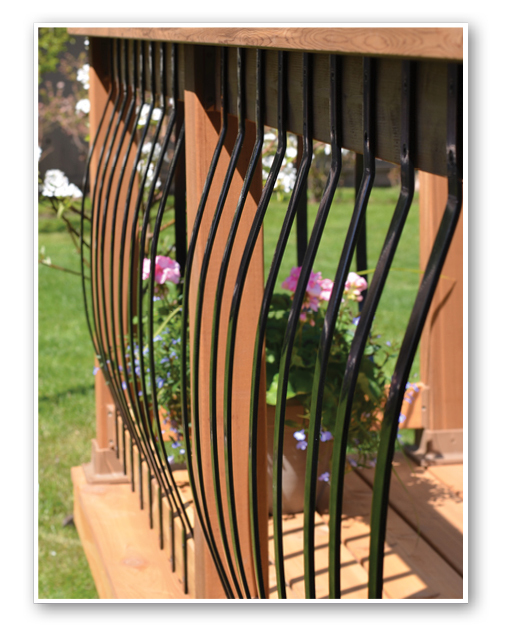 Low maintenance product made of 100% aluminum alloy that will never rust. 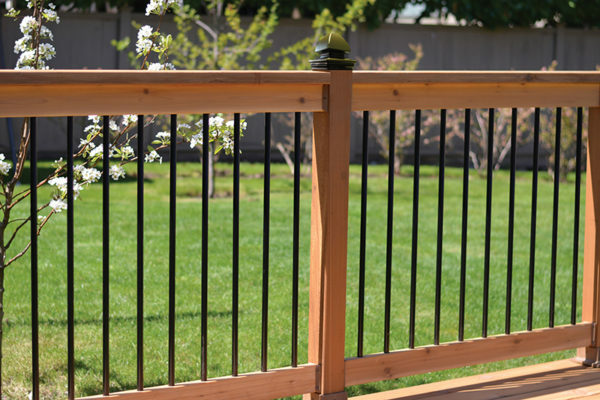 Picket system for 36″, 42″, 46″ railing heights. Low maintenance product, will never rust or corrode. 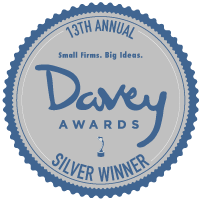 Made from 100% aluminum alloys and powder coated with a textured black finish. 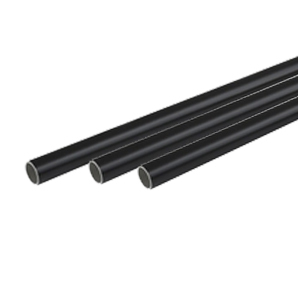 Can be used with wood and composite materials. For horizontal and stair applications. 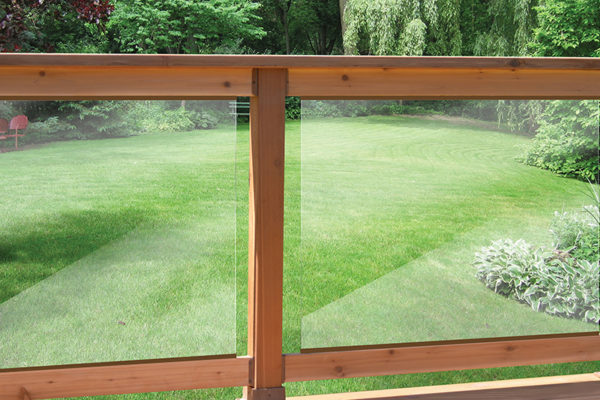 Regal Ideas Glass Mount Track (WGT) allows you to install 1/4” (6mm) tempered glass to your wood or composite railing system. 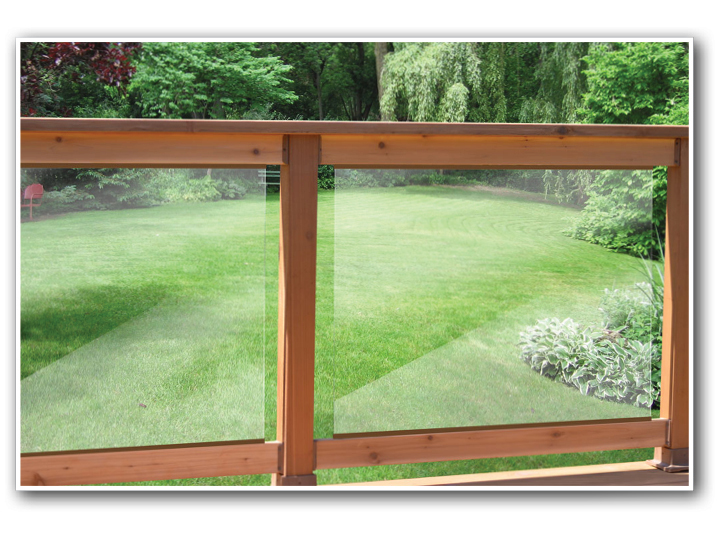 Tempered Glass panel sizes in-stock from 6″ to 66″ (in 3 inch increments). 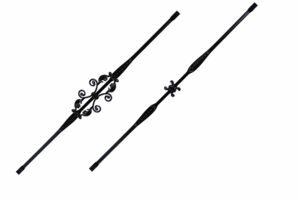 Balusters are 1/8” thick aluminum. 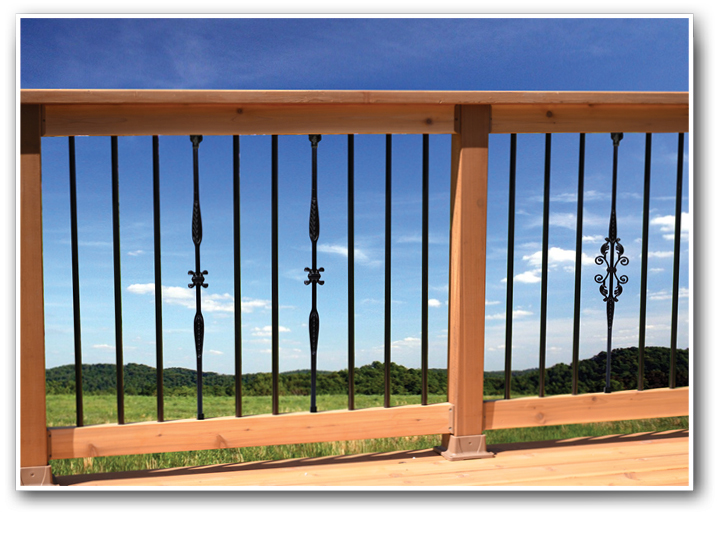 Regal Ideas has everything you need to build your next custom wood deck railing. 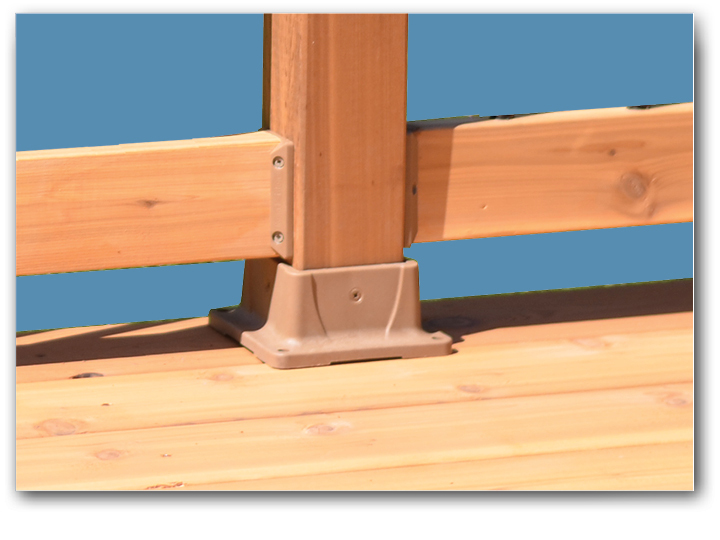 The 4″x4″ post anchors and 2″x4″ rail adapters make building your wood railing simple and easy. 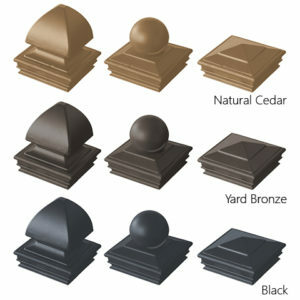 Finish off your project with Regal ideas decorative aluminum post caps. Visit our authorized Regal ideas Dealers for helpful service and advice on your next project.